Laurie Here - Contemporary Fiction and MORE - Book Reviews: WINNER OF KAREN KINGSBURY'S "LEARNING", Bailey Flanigan Series! WINNER OF KAREN KINGSBURY'S "LEARNING", Bailey Flanigan Series! I used Random.org and guess what number it picked? #1 !!! Wow! 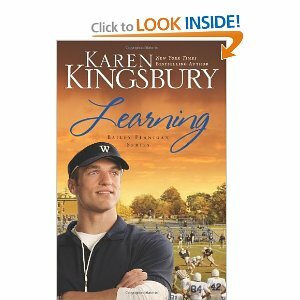 Krystal Larsen "WON" Karen Kingsbury's Book 2 of the Bailey Flanigan Series "LEARNING"!! !